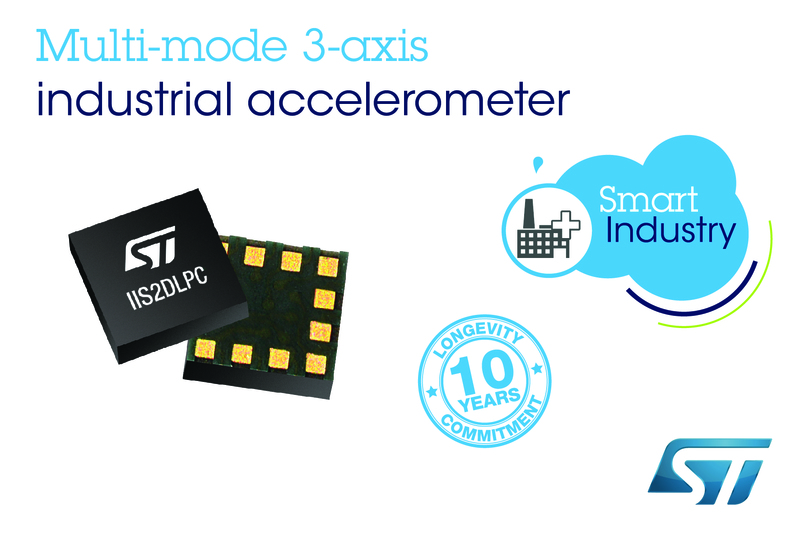 Geneva, November 6, 2018 -- The STMicroelectronics IIS2DLPC 3-axis MEMS accelerometer can change operating mode on the fly, from ultra-low power to high resolution, enabling high-accuracy measurements within a limited energy budget. The sensor can provide continuous contextual awareness to wake the host system when action is required and take highly accurate measurements before returning to ultra-low power operation. Please visit www.st.com/iis2dlpc-pr for further information.